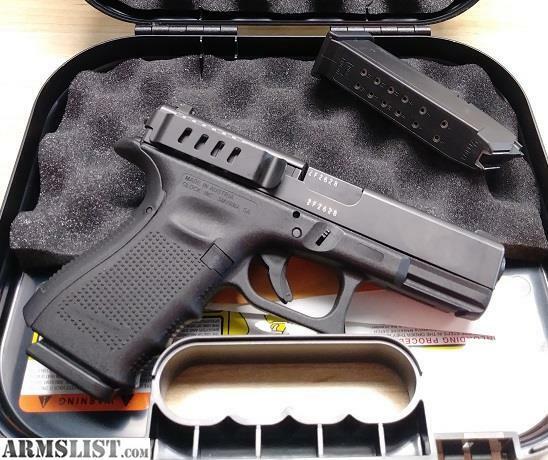 ARMSLIST - For Sale: Glock 19 gn 4 9mm handgun. For Sale: Glock 19 gn 4 9mm handgun. Comes with 2-15rnd magazines, Techna clip, box and paperwork.